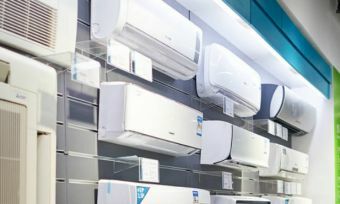 The peak bargain time for new appliances is around the end of financial year – which falls on June 30. If you’re in market for a new dishwasher – because you’re moving into your own place for the first time or your old scrubber has packed up – you could be in luck. To help you find a great deal, Canstar Blue has produced this guide to dishwasher sales, featuring some of the best brands around, based on our latest customer satisfaction ratings. On average, Australian households spend about $800 on new dishwashers – which should be enough to get you a pretty good model with a few fancy features. Some of the brands that performed well in our latest research include Miele, Asko, Bosch, Dishlex and Fisher & Paykel, so read on to find out what they have to offer by way of deals this EOFY sales time. Miele is a high-end appliance brand, but this sales time you might score one of its premium dishwashers for less than $1,000. The G4203SCACTIVEBRWS model is a 60cm freestanding dishwasher with 14 place settings and a recommended retail price of $1,299. With a three star energy efficiency rating, you can expect to pay around $94 in annual running costs for this appliance (according to the Standard Test). In terms of water efficiency, it scores 3.5 stars on the WELS water rating, using the Eco program. The design features a cutlery tray for easy loading and unloading, as well as a ComfortClose door, which remains open in whatever position you move it to, for your convenience. Its dishwashing programmes include Automatic (normal), ECO, Intensive 75°C, Sensor wash gentle, and Short. With this model, you’ll also find a Delay Start option of up to 24 hours that can help you save money by scheduling cycles to run when electricity tariffs are cheapest. So you might program the dishwasher to turn on at 2am instead of straight after dinner time, when peak prices may apply. 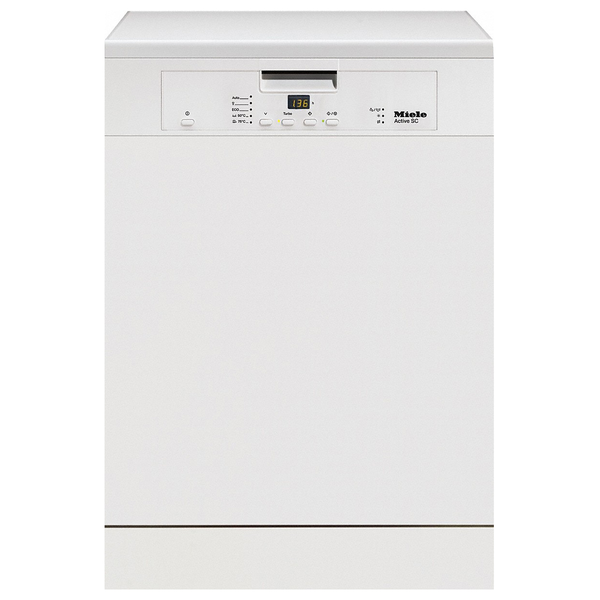 Asko has an extensive range of dishwashers, one of which is the 82cm Under-Bench dishwasher ($1,499 RRP). The model features 14 place settings and six wash programs, which includes an Eco mode, Daily, Heavy, Pre wash and Quick wash programs. The design incorporates one upper and lower basket with a knife caddy and cutlery basket. There are a total of two spray arms and eight spray zones, claimed to ensure a thorough clean. This Asko model has the ability to delay the start time, which in turn lets you make use of the off-peak energy prices and it’s boasted for a noise level of 46 dB when operating, so you won’t be disturb during the night. With its 3.5 stars energy efficiency rating, it will use around $78 in energy per year. For water consumption, it’s rated 4.5 stars, using just 12.7L of water per wash cycle. Bosch produces dishwashers with a focus on technical details, boasting a variety of different features. 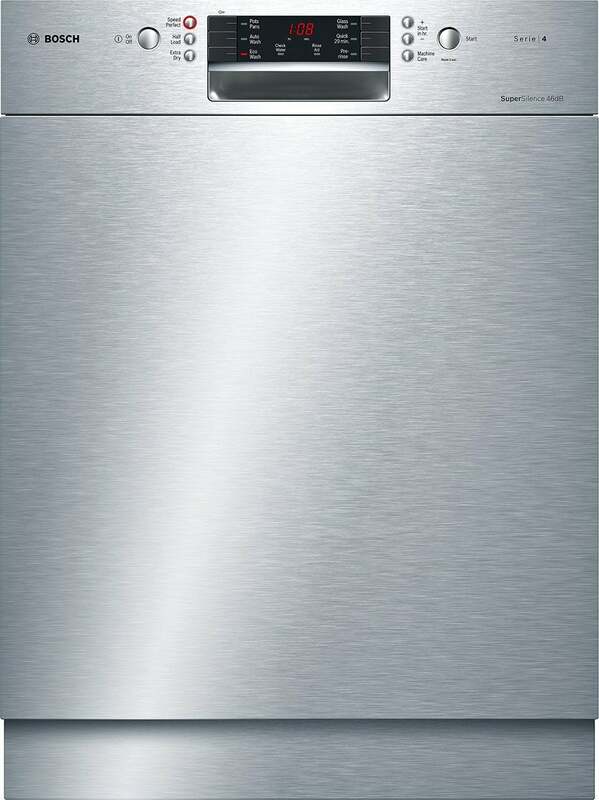 The Bosch 60cm Under Bench Dishwasher has a retail price tag of $1,449 but can be found for just over $900. It has 14 place settings and is designed with ‘AuqaSensor’ technology, claimed to monitor usage depending on the degree of soiling. It’s also equipped with Bosch’s LoadSensor system for optimal water usage, scoring four stars on the WELS water efficiency rating. The Bosch under bench dishwasher features six washing programs including Eco, Quick wash and Auto wash. It has an anti-fingerprint stainless steel finish, and is designed with a cutlery tray, foldable plate racks as well as an adjustable top basket for the extra-large items. Another feature of this model is the Glass wash system that incorporates a Glass wash program, ExtraDry setting and the GlassSecure tray, boasted to provide optimum cleaning of your glasses. It produces just 46 dB of noise with the EcoSilence Drive, which is claimed to provide energy efficient performance and has a Delay start option to run the dishwasher at off-peak times. It has four stars for both energy and water efficiency ratings, and uses around $66.70 of energy per year. 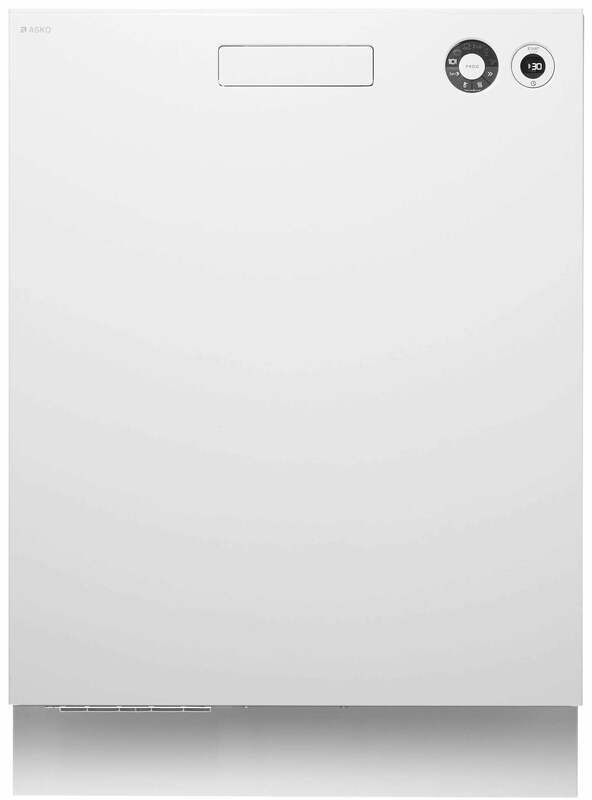 The Dishlex DSF6106X Freestanding Dishwasher ($839 RRP) is one of the highest rated on Appliances Online, with an average consumer score of 4.2 stars after more than 35 reviews. It has 13 place settings and five wash programs including an Eco Mode and a Quick 30 program for the small loads. It’s designed with a simple control panel and comes with two baskets – one lower basket and one adjustable upper basket – with foldable cup shelves. One of the compartments is also equipped with soft spikes to help prevent glasses from breaking or cracking in the dishwasher. Similar to the models mentioned above, this freestanding dishwasher has a three star energy efficiency rating out of six, meaning annual running costs of around $82. It includes an inbuilt load sensing system that’s claimed to monitor each load and adjust energy use on a wash by wash basis. 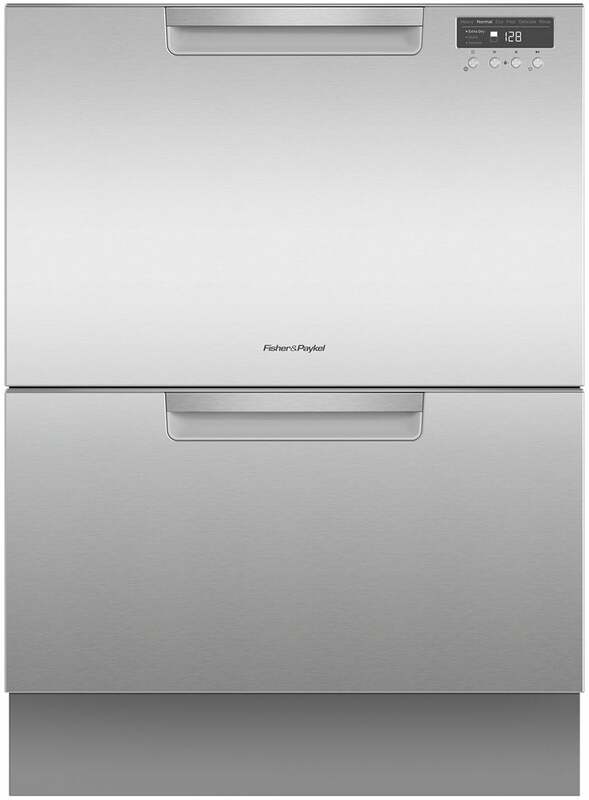 It’s also claimed to produce 51 dB of noise, which is pretty standard of most dishwashers. In terms of water efficiency it has a 4.5 stars WELS rating. The dishwasher with drawers design pulls out horizontally, making it perhaps a little easier for some to load and unload dishes compared to the drop down doors on standard dishwashers. Fisher & Paykel is the original maker of the ‘DishDrawer’ and you can score one of its models – with a retail price tag of $1,899 – for under $1,500 this EOFY time. The DD60DCX9 model features 14 place settings and 15 wash programs. It’s has flexible racking to make additional room and each drawer can work independently to the other, allowing you to select two different wash programs to run at the same time. In regards to noise levels, the DD60DCX9 is measured to produce 43 dB during a standard cycle. It has a 3.5 energy efficiency rating, costing around $38 in energy per year. To make use of the off peak energy tariffs, you can delay the start time by up to 12 hours, as well as turn off the end of cycle alerts to not disturb you during the night. Its water efficiency rating is 4.5 stars out of six. Should you buy a dishwasher this EOFY sales time?